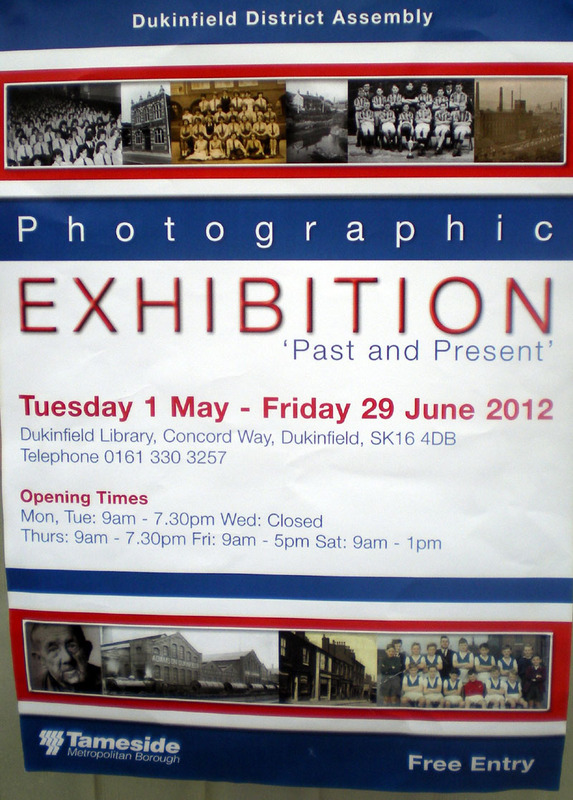 Friends of Dukinfield Old Hall Chapel founded 1 November 2011, to raise awareness of the historical value and significance of Dukinfield Old Hall Chapel and to protect and preserve its heritage. The Chapel, 16th Century, belonged to the Duckenfield Family and was important in the 1640s and 1650s in Congregational, Quaker and Unitarian history. 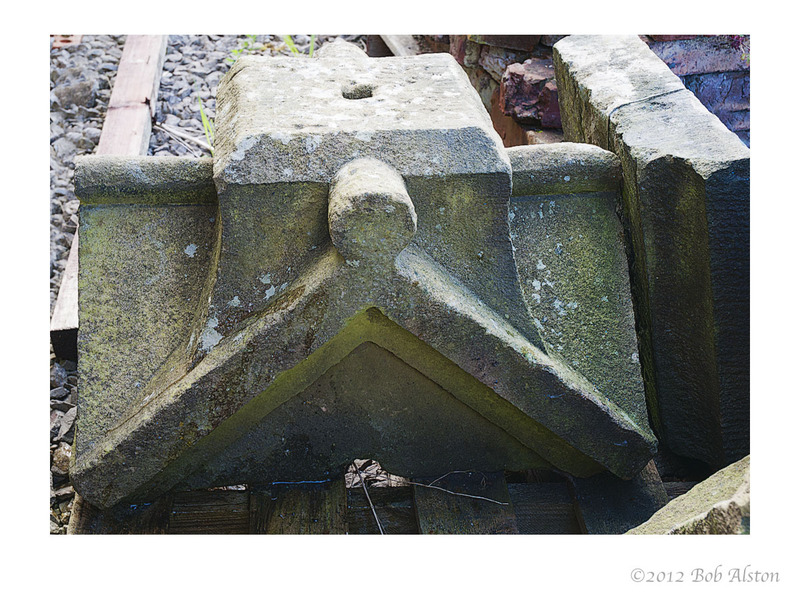 Now in a ruinous condition and on the English Heritage 'At-Risk' Register. Grade II*. 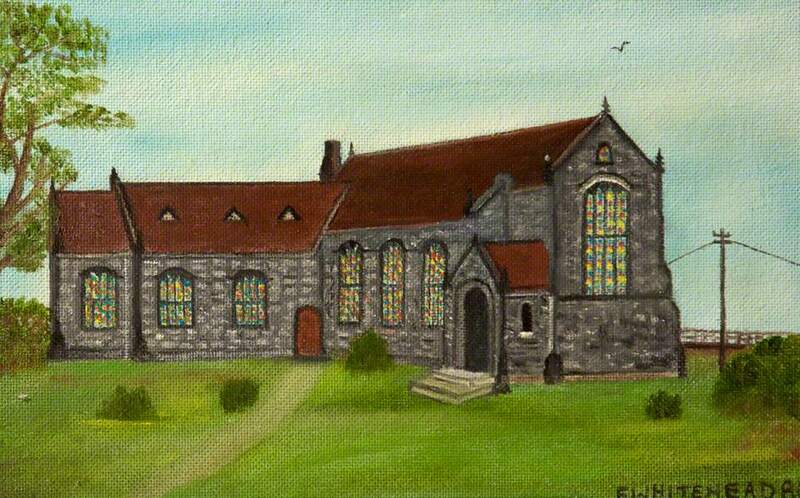 'Dukinfield Old Hall Congregational Chapel, Cheshire' by F. Whitehead (Mrs.), 1980. Tameside Museums and Galleries Service: The Astley Cheetham Art Collection. 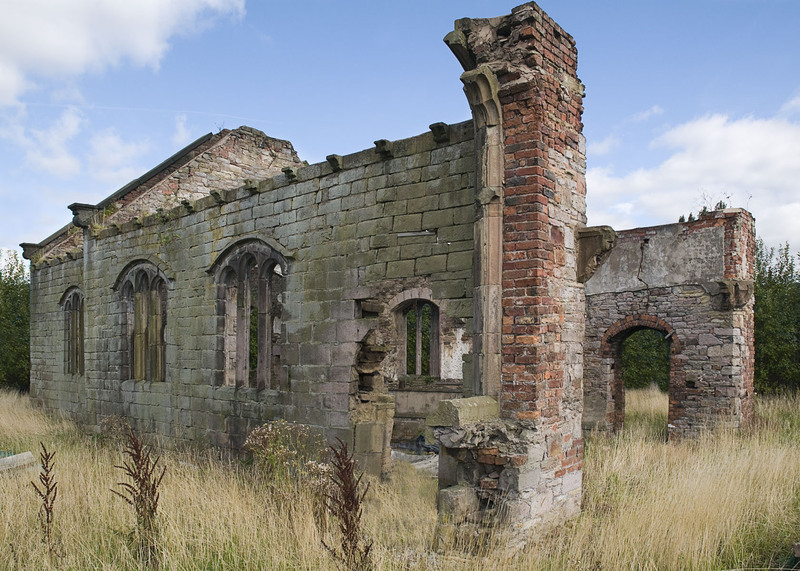 Dukinfield Old Hall Chapel is an Elizabethen structure (now in a ruinous condition) which was the family chapel of the Duckenfield family of Dukinfield Hall (demolished). It was used in the 1640s and 1650s as an Independent or Congregational chapel, and claims are made that it was the FIRST CONGREGATIONAL CHAPEL IN THE COUNTRY (1642). George Fox visited it in 1647 and claims are also made that this was the FIRST PLACE HE PREACHED. In the 1650s the congregation split over the issue of the trinity: the trinitarians left, and those remaining became, it is also claimed, the FIRST CONGREGATION (outside London) PREACHING A UNITARIAN DOCTRINE. So whatever the precise truth of the claims later made, the building has great historical significance for Congregationalists, Quakers and Unitarians. A map accompanies the English Heritage entry. PLEASE NOTE THAT THE CHAPEL IS PRIVATE PROPERTY, SITUATED IN THE MIDDLE OF A VERY LARGE AND BUSY BUILDERS' YARD TO WHICH THERE IS NO PUBLIC ACCESS. THE FRIENDS HAVE ESTABLISHED GOOD RELATIONS WITH THE OWNERS AS PART OF WHICH WE DO NOT ENCOURAGE INTERESTED MEMBERS OF THE PUBLIC TO ASK TO SEE THE CHAPEL ON A WHIM, MAINLY BECAUSE THE STRUCTURE IS DANGEROUS AND VISITORS HAVE TO BE SUPERVISED AT ALL TIMES. HOWEVER, EVERYBODY IS WELCOME TO ATTEND THE ANNUAL HERITAGE OPEN DAYS EVENT (next to be held on Sunday 13 September 2015 - details to follow on this web-site and on www.heritageopendays.org ). 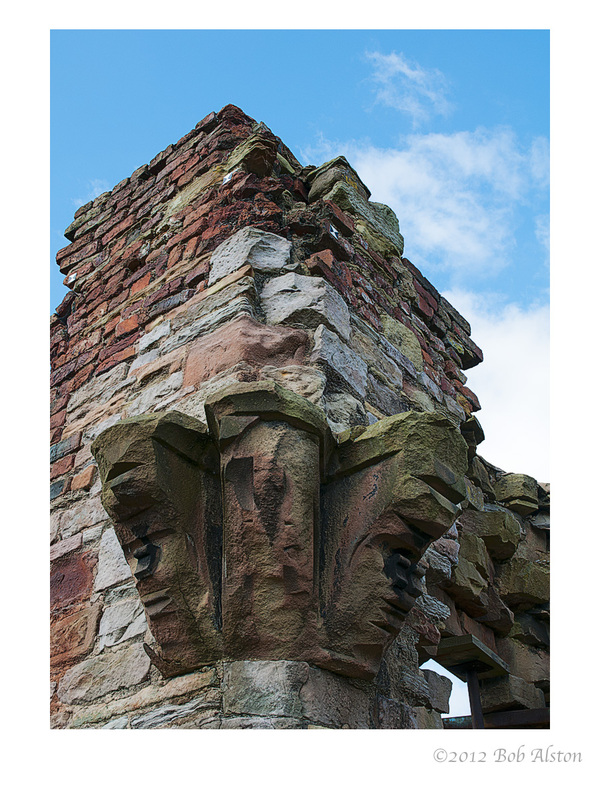 This event allows close inspection of the ruin and discussion of its historical significance. If you really wish to visit the Chapel at any other date or time please contact the Secretary of the Friends initially, because other group visits may be arranged during the periods between Heritage Open Days. 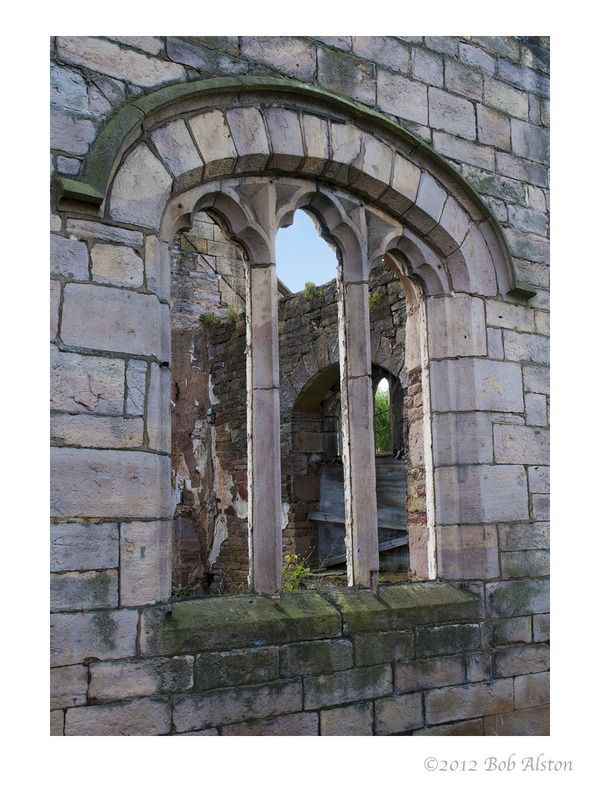 Partial views of the Chapel can be obtained from two vantage points which ARE accessible to the public at all times. The first is from the towpath of the Peak Forest Canal, roughly from the point where those words appear on the map. The towpath is on the south bank. This view is better in winter when trees on the opposite bank are not in leaf. To access the second view-point proceed south-easterly along the towpath, cross the canal at the first bridge and walk along a footpath in a north-easterly direction until you reach Globe Lane, a busy highway. Look due west and you will see the Chapel across a piece of derelict land (the factory marked on the map to the north-east of the Chapel has been demolished). 'The event will be held on SUNDAY 14 SEPTEMBER 2014, at 1.30 pm. Meet on Old Hall Street at Globe Square, junction of Globe Lane, Ashton Street and Astley Street (B6169). Car parking will be available through the barriers at the end of Old Hall Street. The post code is SK16 4RG. After a visit lasting about an hour, there will be an option to walk along the Peak Forest Canal for about 1km to NEWTON HALL, HYDE, SK14 4PL, which will also be open for Heritage Open Days that afternoon. Click here for more information about Newton Hall It will not be possible to leave cars within the compound at Dukinfield Old Hall Chapel after 2.30pm. A key document in understanding the history, present situation and future prospects of the building is a planning application and permission granted to the owners by Tameside Metropolitan Borough on 8 December 2008. Guidance is given below as to how to access this document. 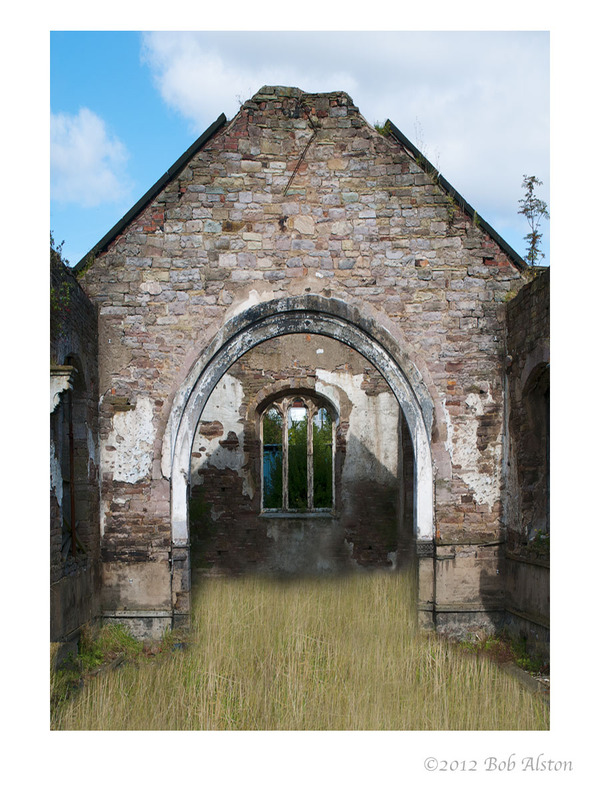 The APPLICATION is very detailed and seeks permission to stabilise and retain the structure as a CONTROLLED RUIN. 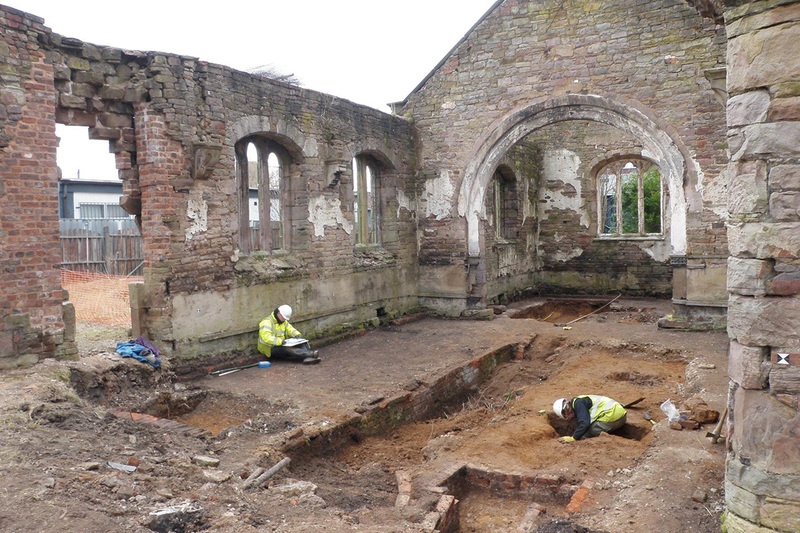 There would be an archaeological examination of the site (there are burials in the nave), the walls would be repaired in the best weather-resistant manner, the roof would not be restored because the walls could not bear the weight, the whole site would be tidied up and interpretation boards provided. This one sentence does not do justice to the comprehensive nature of the historical and technical information contained in the documents accompanying the application. There are also a large number of PHOTOGRAPHS. The PERMISSION was granted for 3 years and expired on 8 December 2011. Nothing was done in the interim to implement it, understandable in view of the economic and commercial circumstances facing the owners at the time. We understand that there would be no great difficulty or expense involved in submitting a new planning application based on the information in the 2008 one. The Friends are of the opinion that, in the absence of any alternative proposals, preparing and submitting a new planning application is an essential next step. Essential but not sufficient: the key question is how to raise finance to implement any planning permission and the Friends see it as their role to bring together any parties who can assist. The owners' estimate (August 2011) was £150,000. Click 'Find' at the bottom of the page and the planning application will appear. Click 'View Documents' and do so again on the following page and then a list of them will appear. Happy reading! The Friends were established on 1 November 2011 with the help of the Barbara Lowndes MBE JP BA of the former Tameside Association of Voluntary Youth and Community Organisations. The Friends have received financial assistance from Tameside Metropolitan Borough Council via Dukinfield Ward monies held by Councillors John Taylor, Brian Wild and Jackie Lane, and from Globe Square LLP. Click to view a series of photos taken at Swarthmoor Hall - the cradle of Quakerism when a group Friends visited in July 2013.